Home / Why Adopt from Congo? Due to the suspension of exit permits by Congolese authorities, MLJ Adoptions is not currently accepting new clients for this program. Families interested in adopting from Africa may want to explore our Burkina Faso country program. If you would be interested in being notified when our Congo program reopens, please send your contact information to info@mljadoptions.com. The Democratic Republic of Congo (DRC) is home to over four million of Africa’s orphaned children. The political instability of the country makes it an unsafe place for vulnerable children. The situation in DRC is dire. Many children in DRC experience malnutrition, and it is estimated that less than half of the population has access to safe drinking water. One in seven Congolese children will die before reaching age five, and an average of 700 children under the age of five die on a daily basis. The orphanages in DRC are often severely underfunded and understaffed, and cannot always provide for even a child’s most basic needs. Families choosing to adopt from Congo will not solve all of the country’s larger social and economic issues, but it is one permanent solution that does provide children with the love and security of a family. More than one child may be adopted during the same adoption process, including both siblings and non-siblings. 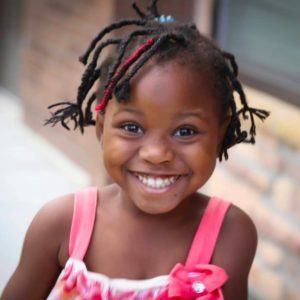 Children reside in orphanages, but are moved to foster care once matched with a family. These foster homes are licensed through the social services department in Kinshasa, and children receive appropriate nutrition and medical care. This is a unique feature of MLJ Adoptions’ Congo program. Though there is an increased monthly cost, we strongly believe that it is in the best interests of the children involved, as we see the health of the children improve greatly during their time in foster care before arriving home. Families who adopt from Congo should expect that the child they are matched with will have experienced malnutrition and/or been exposed to malaria. Children may also have additional known medical needs depending on what the family is open to. Children may be placed for adoption due to extreme poverty, lack of acceptance towards unwed mothers, lack of basic social services, sexual violence, and armed conflict. Married couples, who have been married five years or longer may adopt from Congo. Parents must have less than three children in the home. Approximate Wait Time: 6-12 months once a family’s dossier arrives in DRC. The process may be expedited if a family is open to an older child or child with known special needs. Completion of Adoption: 12-24 months after a family accepts a referral. Travel: one trip, of 2-4 weeks, is required at the end of the process. Both parents must be in-country for at least one week, after which one parent may depart. 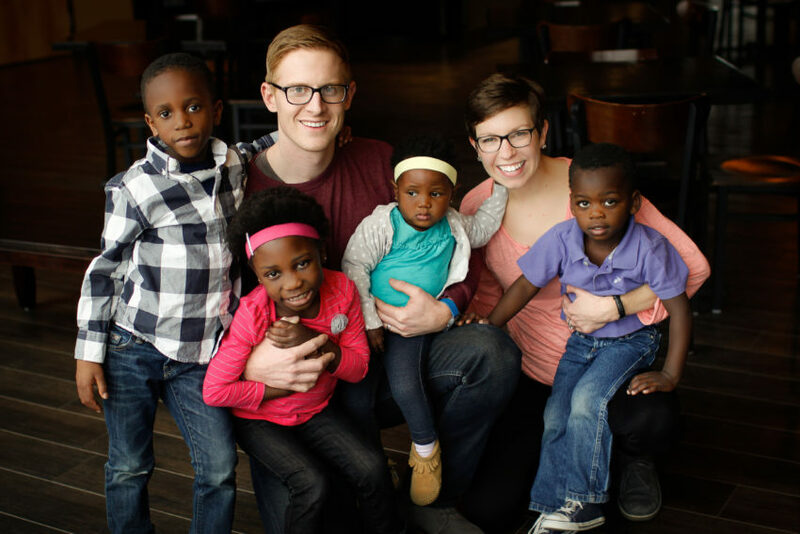 While in DRC, the family will be accompanied by at least one of MLJ Adoptions’ foreign service providers whenever they leave their apartment or hotel. DRC is not a Hague Convention Country. Learn more about the Democratic Republic of Congo at the CIA World Factbook. To learn more about how to adopt from Congo, contact us.